For the last three centuries the violins and cellos created by Antonio Stradivari and his contemporary Giuseppe Guarneri ‘del Gesù’ have captured the world’s imagination. 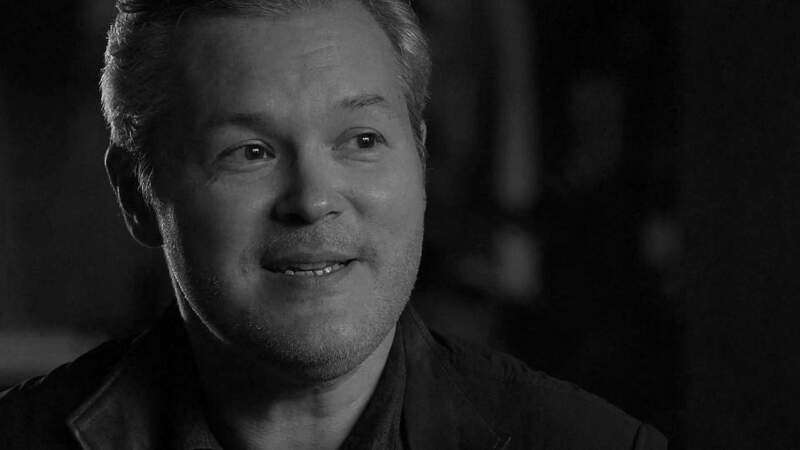 With an unsurpassed level of craftsmanship, these two men transformed the simple materials of a humble stringed instrument into objects of near-mystical perfection. 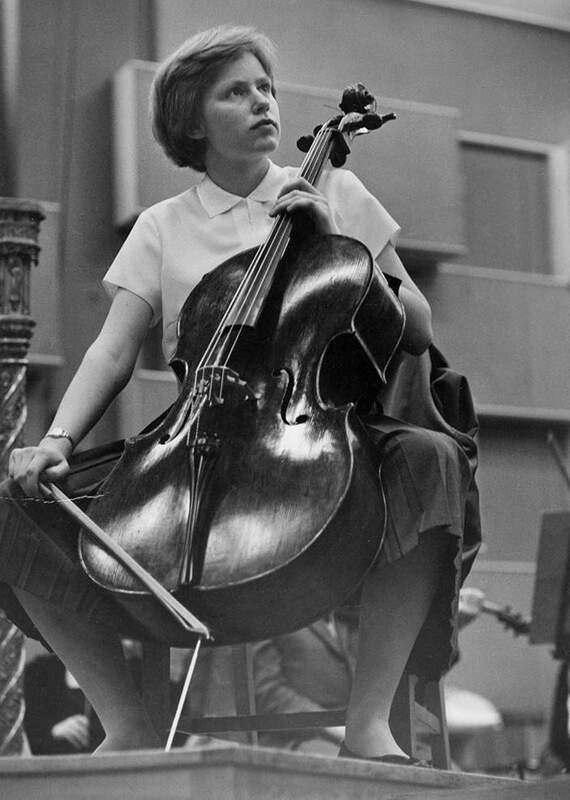 Today, each surviving example of their work boasts an extraordinary lineage of owners and players; Napoleon Bonaparte, Nicolò Paganini, Yehudi Menuhin and Jacqueline du Pré are just some of those who’ve held these masterpieces in their hands. A Stradivarius or a del Gesù is an object around which endless myths, superstitions and scientific theories spin. 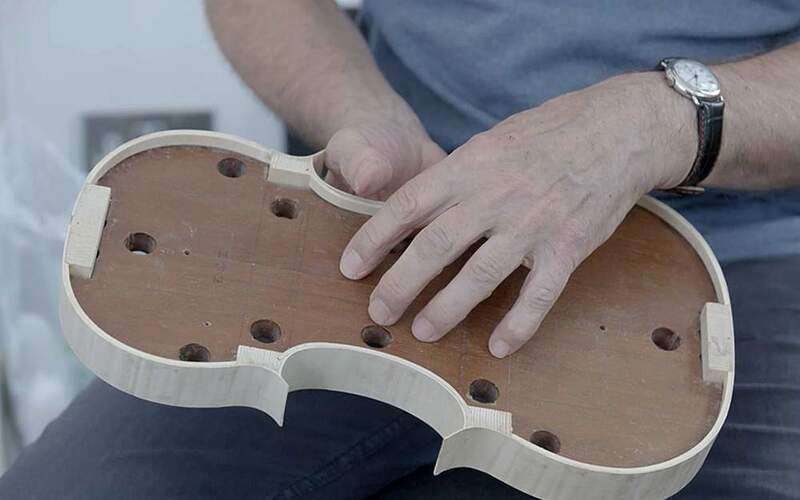 Some argue their secret lies in the ingredients of the varnish or density of the wood; others that years of use by virtuosi have infused the instruments with their artistry. 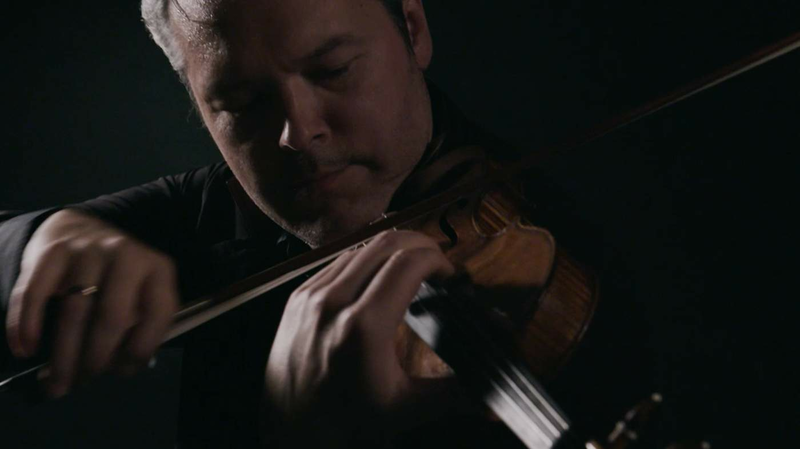 What is certain is that, in the early 1700s, a small northern Italian town bore witness to an extraordinary moment when two violin makers reached a pinnacle of excellence as assured and complex as anything achieved by other great Renaissance masters. 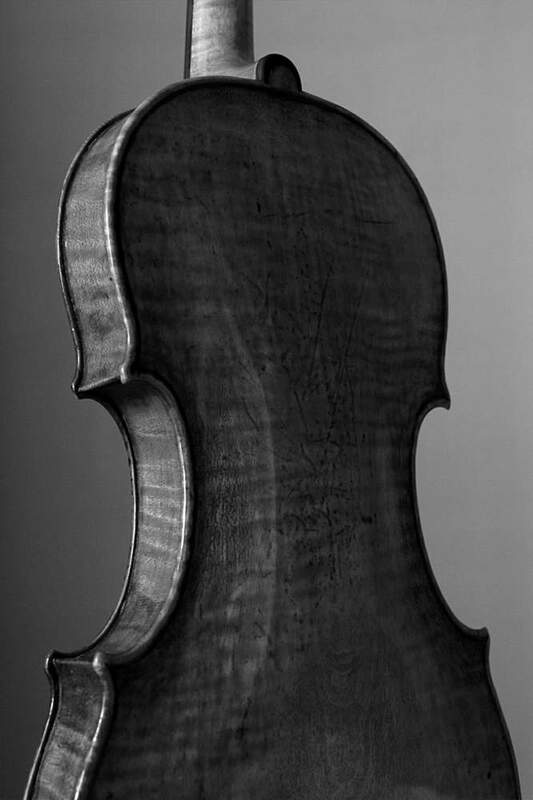 Since the early 16th century, Cremona had been the centre of violin making under Andrea Amati, widely credited as the inventor of the modern violin. 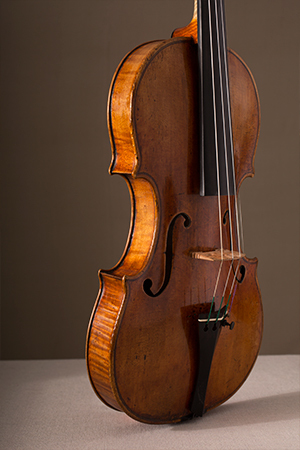 By the 17th century, Andrea’s grandson Nicolò was producing the finest violins in Europe. 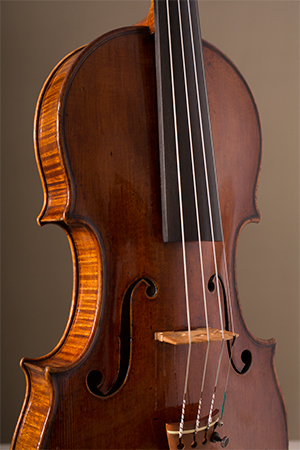 Both Stradivari and del Gesù were raised in the Amati tradition of violin making; del Gesù’s grandfather was an Amati apprentice before opening his own workshop; Stradivari’s earliest known violin bears a label proclaiming him a pupil of Amati. But, in their separate ways, Stradivari and del Gesù would prove extraordinary and ceaseless innovators, forever changing the way violins are made. Stradivari and del Gesù were separated by a generation. 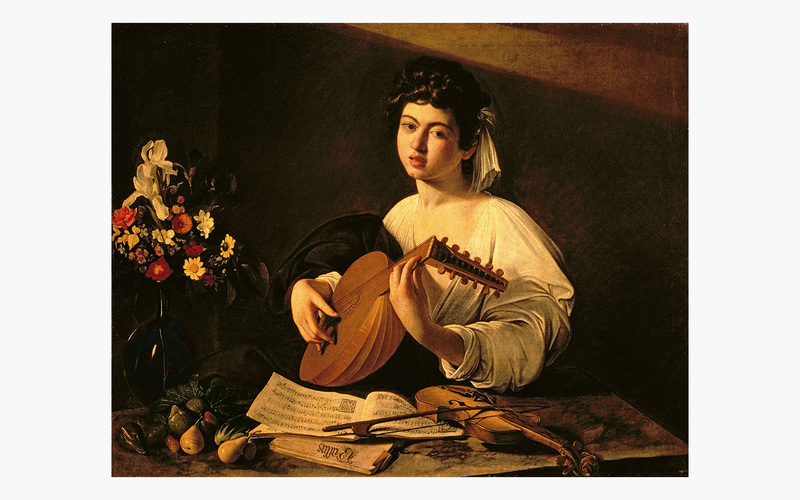 In the early 1730s, del Gesù was a young man from a fading violin-making family crafting wild, improbable fiddles. Stradivari however was already a rich old patrician, the elegant maestro of the Cremonese violin industry creating fine violins for the courts of Europe. The instruments made by Stradivari and del Gesù sit at opposite ends of the tonal palette: those of Stradivari are renowned for their grace and brilliance whilst those of del Gesù are celebrated for their dark earthiness. It is an opposition reflected in the fortunes of the men themselves. 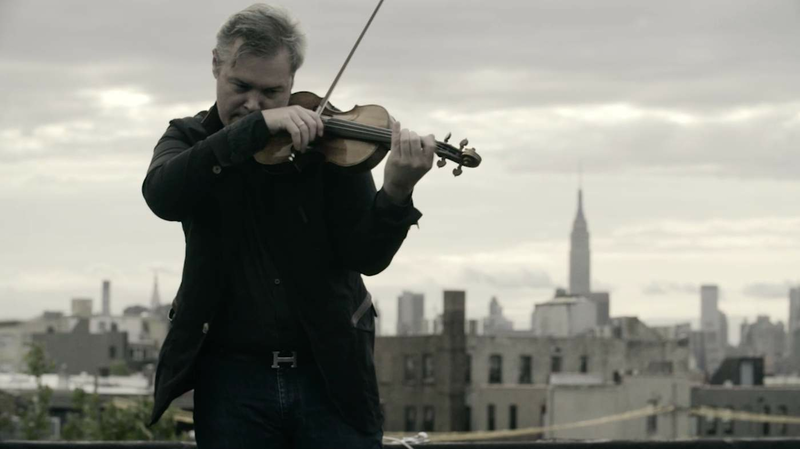 Stradivari’s rise was dazzling. At a time when many of the established violin houses in Cremona had fallen into debt and decline, Stradivari had risen from obscurity to become the world’s most important violin maker. 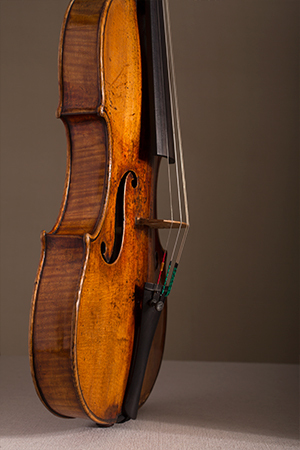 His earliest works were superlative interpretations of Amatis but by the 1690s he was radically experimenting by lengthening the Amati body, making it broader in the waist and flatter in the arching. 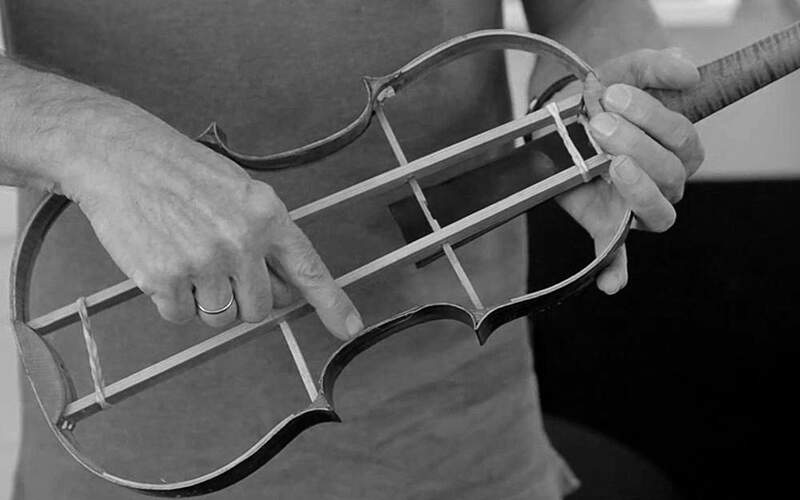 Stradivari was pushing form and proportions, achieving extraordinary effects of tone often with infinitesimal changes to the shape of the soundbox or positioning of the f-holes. 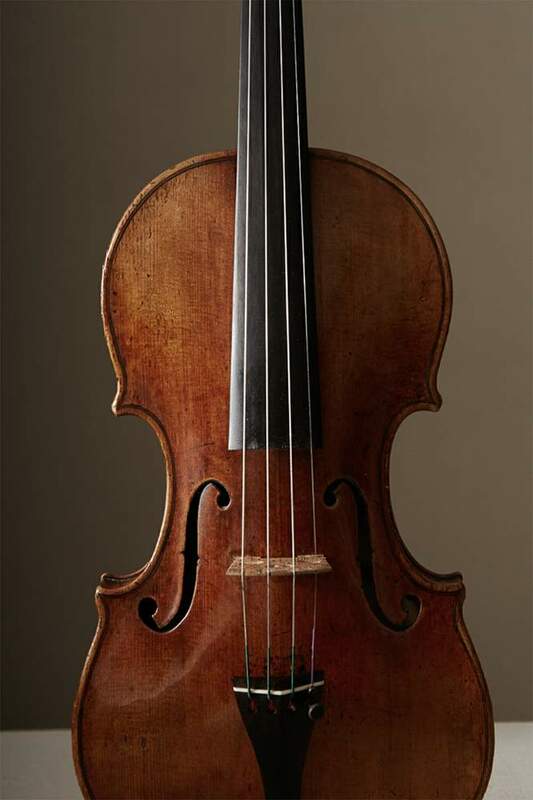 The process reached its pinnacle between 1700 and 1720: over two decades Stradivari produced some of the most famous violins and cellos ever made, instruments that went on to be played by many of the world’s greatest musicians. Distinguished by their deep varnish and richness of tone, the instruments of this ‘Golden Period’ represent the height of Stradivari’s craftsmanship. As Stradivari grew older, his two sons were brought into the business and began to make instruments under the workshop label. 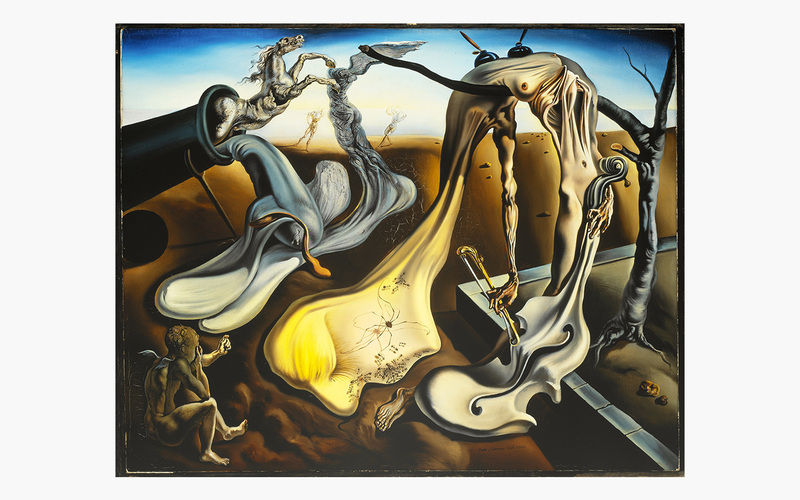 Towards the end of his life, his own work had become rougher, less precise in finish. 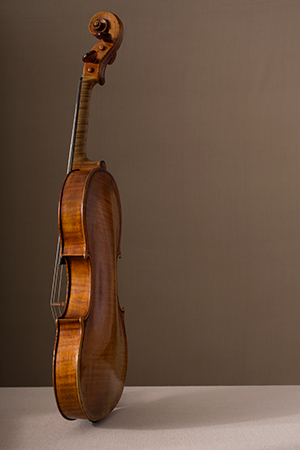 Despite this, the late Stradivari instruments are still considered masterpieces. Compared with Stradivari’s elegant, considered approach, that of del Gesù was feral and strange, with an almost religious fervour. 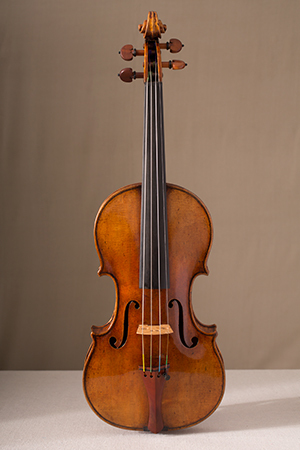 His first violins bearing the IHS label (his soubriquet ‘del Gesù’ was the result of his work being labeled ‘IHS’, an ecclesiastical acronym used to refer to Jesus or ‘Gesu’ in Italian) were markedly different in design from his father’s and Stradivari’s – a fullness to the arching, long, pointed f-holes, a long waist, producing a strong, loud sound. His violins demonstrate a raw beauty and, by the late 1730s, he was crafting them with increasing abandon, his work showing signs of knife and gouge. 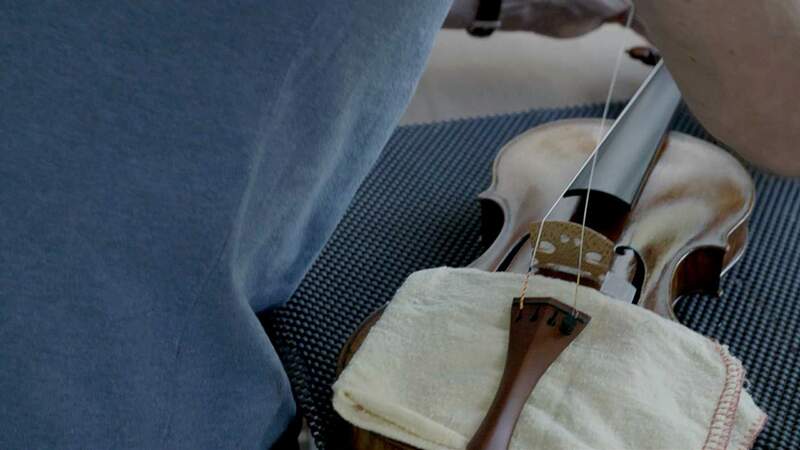 His life was short – half that of Stradivari’s – but his final years produced what are now regarded as some of the most astonishing violins ever made. Del Gesù died in comparative obscurity, unlike Stradivari whose reputation continued to grow after his death. 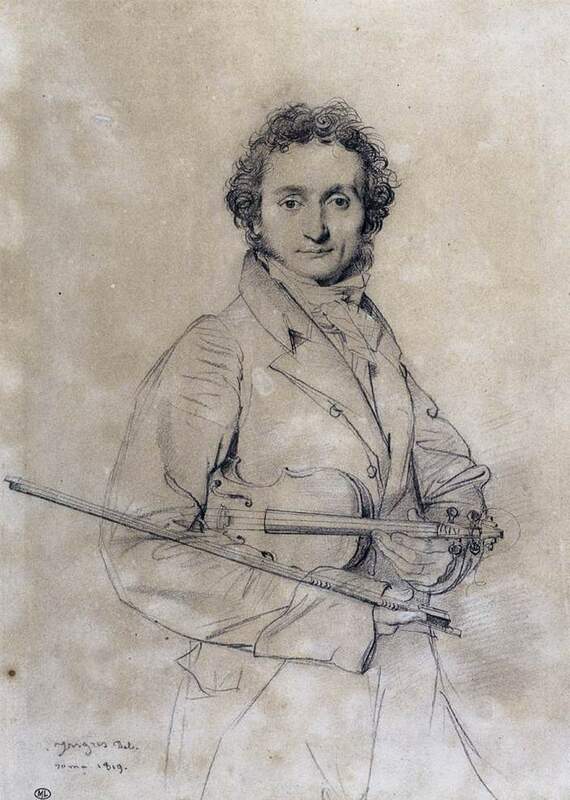 It wasn’t until the 19th century that del Gesù was brought to wider recognition when Paganini began to play one of his violins, the famous ‘Cannon’ (so called by Paganini due to its explosive power). 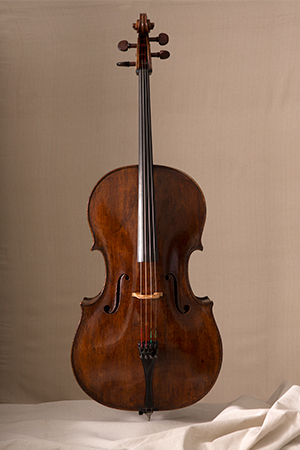 Today, its believed only 135 del Gesùs remain, including a single cello. 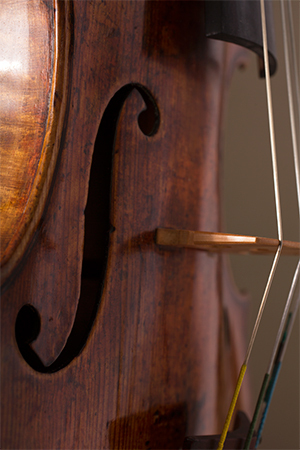 Some 650 Stradivari are thought to survive, including 50 cellos, a dozen violas and three guitars. 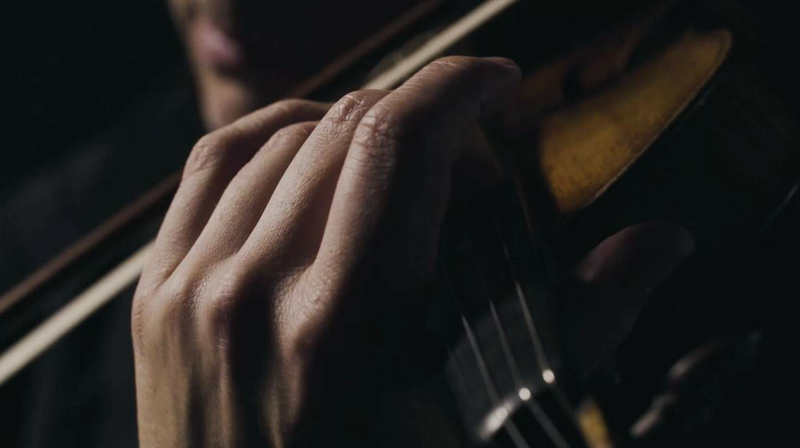 With each instrument they crafted, Stradivari and del Gesù were searching for an ideal of sound. By constantly evolving and adjusting their ideas, they created a collection of instruments that reveal not a single ideal of sound but a series of unique variations of perfection. These instruments are among the most sought after in the world – not only as artworks but also as the violins and cellos of choice for today’s greatest performers. Despite advances in modern technology, the pieces crafted by Stradivari and del Gesù remain inimitable. Those who play them argue passionately that each one has a distinct personality and tone that eclipses any modern-day pretender. 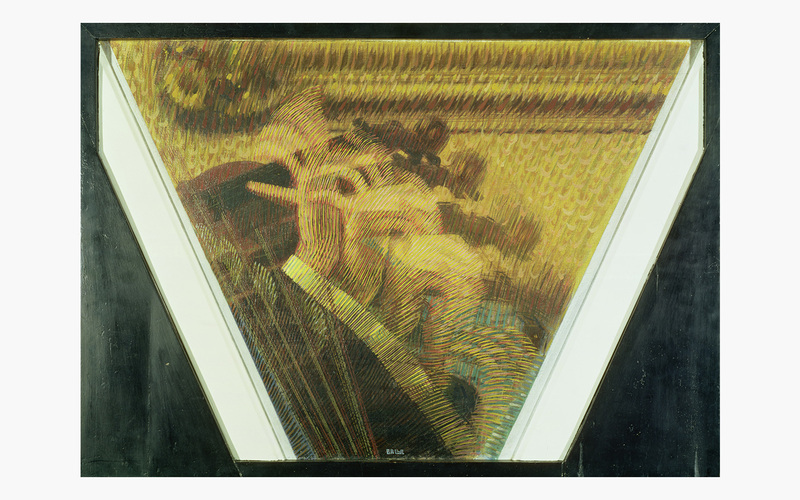 The first visual record of the violin occurs in 1529, in an Italian altarpiece by Gaudenzio Ferrari. Beneath the Virgin’s throne are two music-making angels, one of them holding an early example of the violin. Despite its inclusion in religious scenes, the violin at its inception was hardly considered a heavenly instrument. Favoured as accompaniment to village dances and popular in taverns, its extractions are lowly. Small and portable, it swiftly became the characteristic instrument of street performers and beggars. 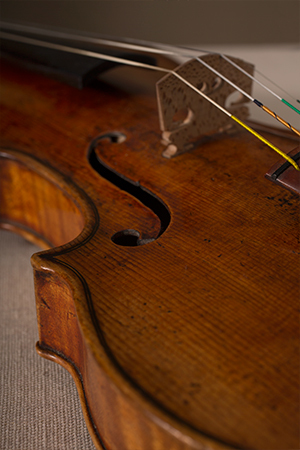 At the turn of the 17th century, the violin began moving away from these humble beginnings. 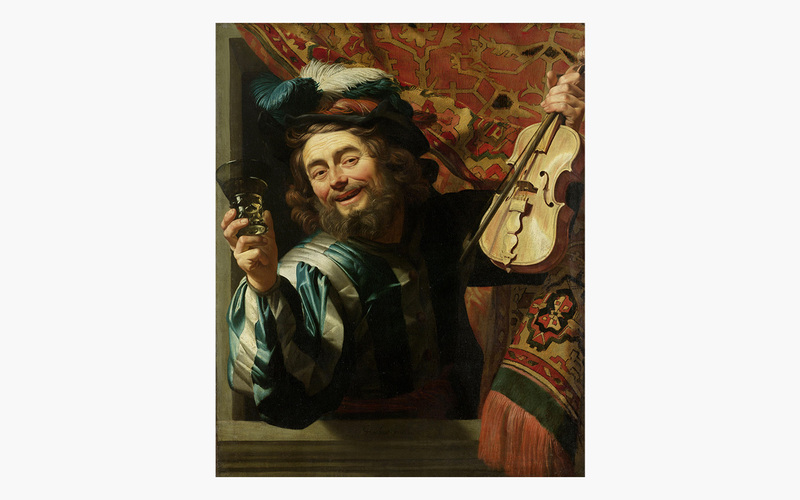 The rise of baroque music was key to that development, as the violin grew to be considered the ideal accompaniment to singing. Images reflected the change in taste. 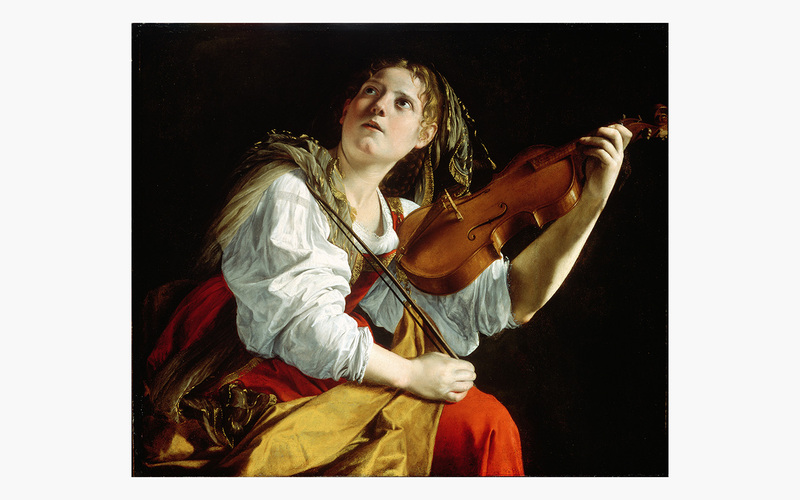 Following Caravaggio’s lead, a generation of artists sought to explore the violin as a pictorial and symbolic object. 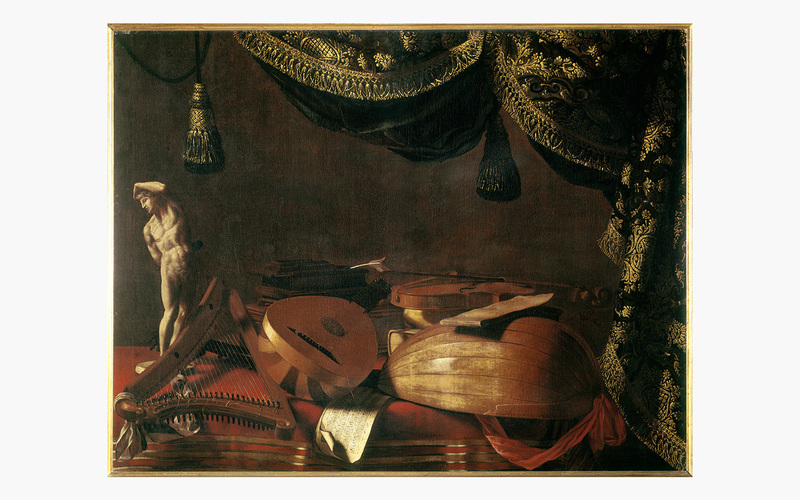 Evaristo Baschenis’s beautifully composed still lifes are genuine ‘portraits’ of musical instruments. 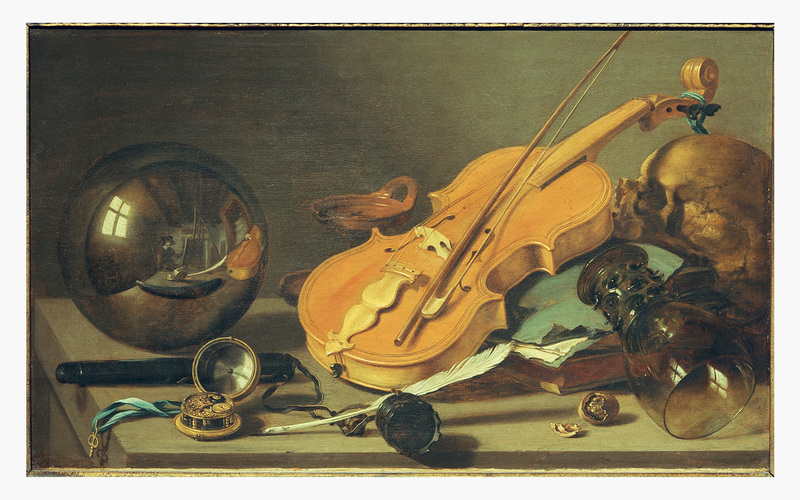 In Northern Europe too the violin frequently appeared in still lifes as a ‘vanitas’ motif, reflecting on the briefness of worldly pleasures. 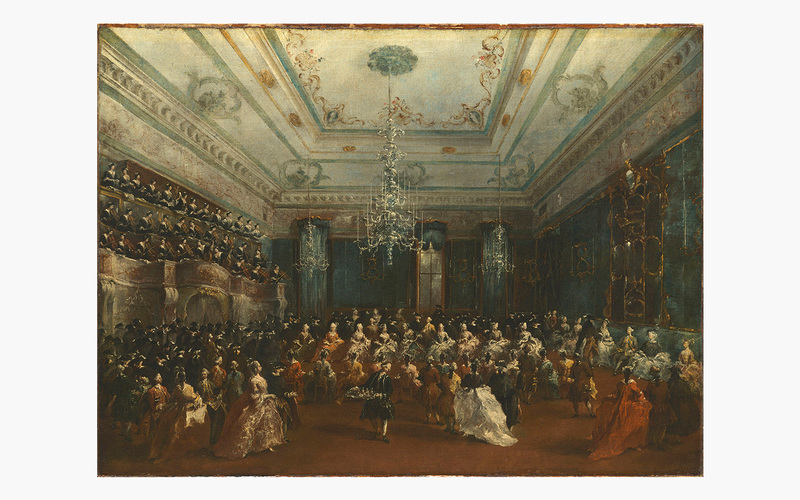 The rise of symphonic music in the 18th century solidified the violin’s place in the canon of both music and painting, as the instrument became the keystone of the modern orchestra. It is the violin as the aristocratic instrument par excellence that dominates painting of the period. 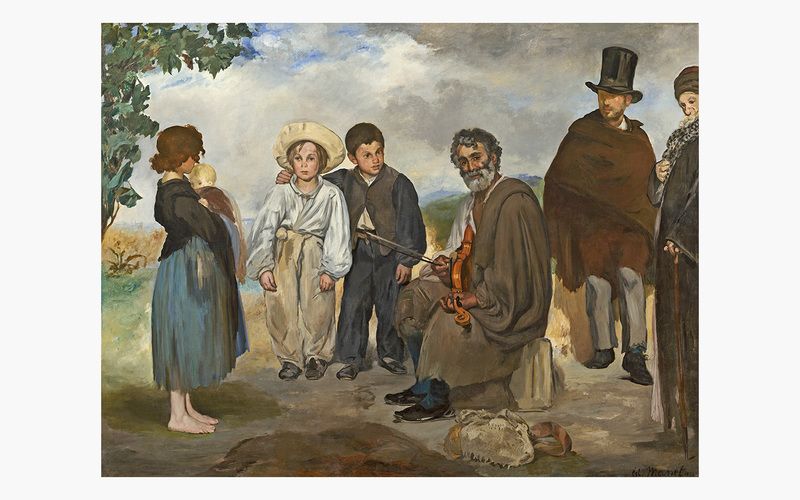 By contrast, the 19th century saw the violin return to its earlier associations with the world of travellers and bohemians. 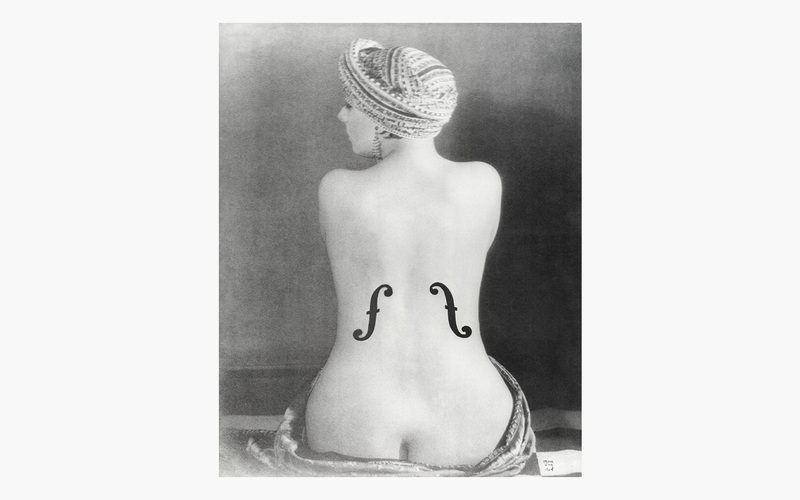 The figure of the bohemian outcast had by then merged with that of the misunderstood creative genius, and the violin was the instrument best suited to express the romantic artist’s inner sorrow. 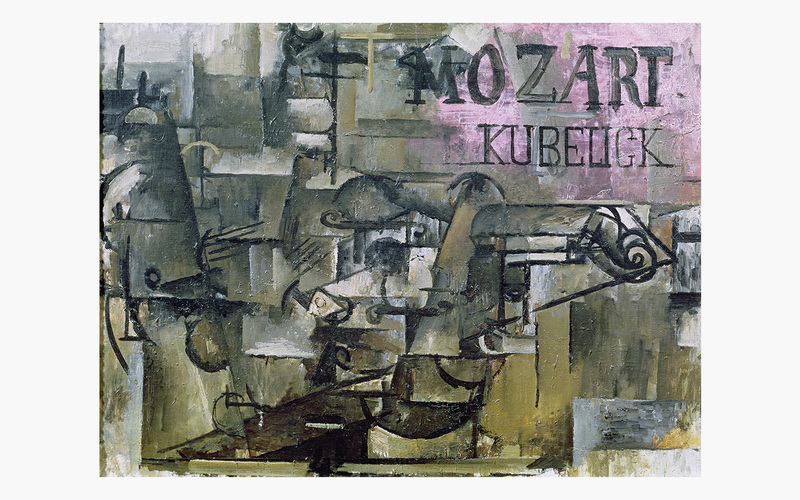 In the modernist age, the violin became a vehicle for all sorts of formal explorations by Cubist and Futurist artists, whilst the Surrealists seized on the anthropomorphic qualities of the instrument. Christie’s is proud to present a landmark exhibition in Shanghai and Hong Kong of instruments for private sale. 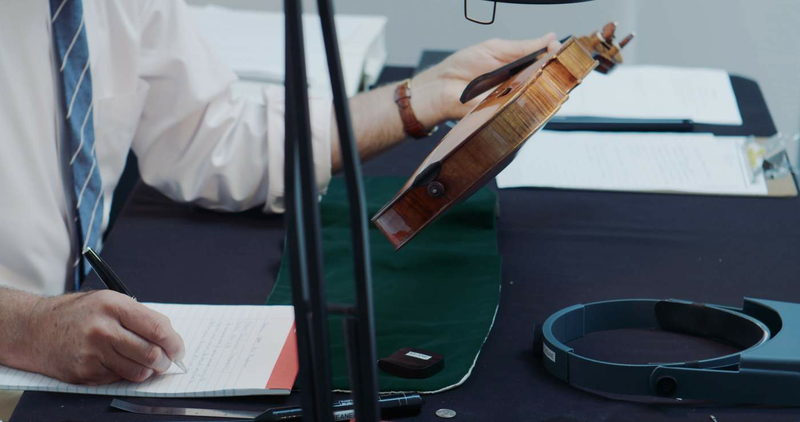 The exhibition traces the history of violin making through the 17th and early 18th centuries, contextualising Stradivari and Guarneri’s work in the broader cultural and artistic developments of the time. Drawn from a single important European collection, The Art of Music represents the most significant opportunity in a lifetime to view and to acquire some of the greatest violins and cellos still in private hands, dating from the 1670s to the 1730s; the Golden Age of Italian making.